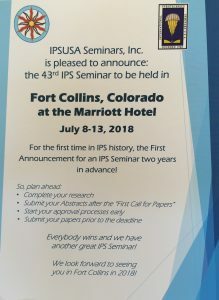 43rd IPS Seminar Announced – Fort Collins, Colorado! | 43rd IPS Seminar Announced – Fort Collins, Colorado! 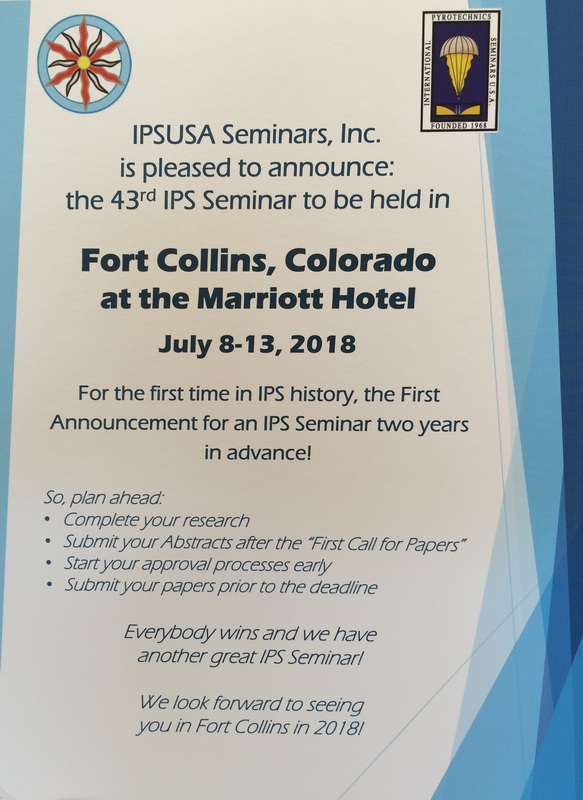 43rd IPS Seminar Announced – Fort Collins, Colorado! Home / 43rd IPS Seminar Announced – Fort Collins, Colorado! The 43rd International Pyrotechnics Society Seminar has been announced! The seminar will occur at the Marriott Hotel in Fort Collins, Colorado, 8-13 July, 2018. This is the first time the seminar has been formally announced a full two years in advance.